Add: 180-182 Ly Chinh Thang Street, Unit 601, 6th Floor, Ward 9, District 3, HCMC. 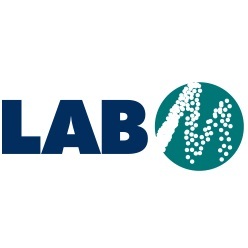 Lab M specializes in microbiological culture media. The company develops, manufactures and supplies its products from headquarters in Heywood, Greater Manchester, UK and has an established network of distributors around the world. Lab M has an international repulation for the quality of its dehydrated culture media, which are available in various formats. Its R&D teams work in collaboration with key institution and industry leaders to develop and trial new products that give faster results at lower cost. As new rapid methods develop, Lab M is applying its stringent quality criteria to an expanding range of HarlequinTM chromogenic media and also offers dehydrated culture media to enhance techniques such as ELISA and PCR. µPrep bagged, ready to reconstitute media support high throughput laboratories while Lab M's Captivate leads the field in immunomagnetic separation. Lab M is an experienced supplier of bulk peptones, extracts and other raw materials to pharmaceutical and large-scale fermentation industries, in compliance with current EDQM certification. Custom-designed and custom-blended products are another speciality. Lab M is certified in accordance with ISO 9001:2000, ISO 13485 and ISO 11133 : 2014; products designed for the clinical market are supplied in compliance with the European IVD directive and carry the CE mark. Copyright © 2014 by Biotechem. Web Design by Trang Web Vang.